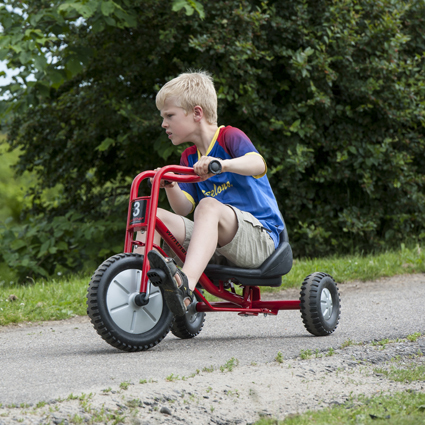 A cool Slalom Trike which is exciting to ride! 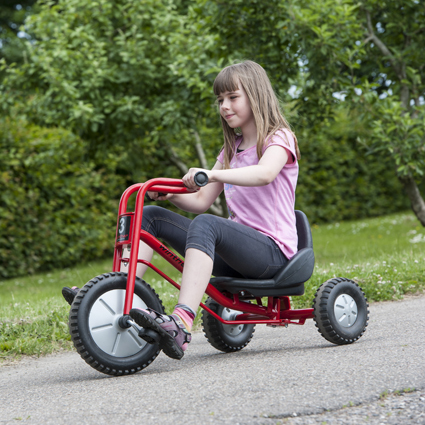 Requires very little space to turn, making sharp turns easy! (Unique steering capabilities that have been patented). 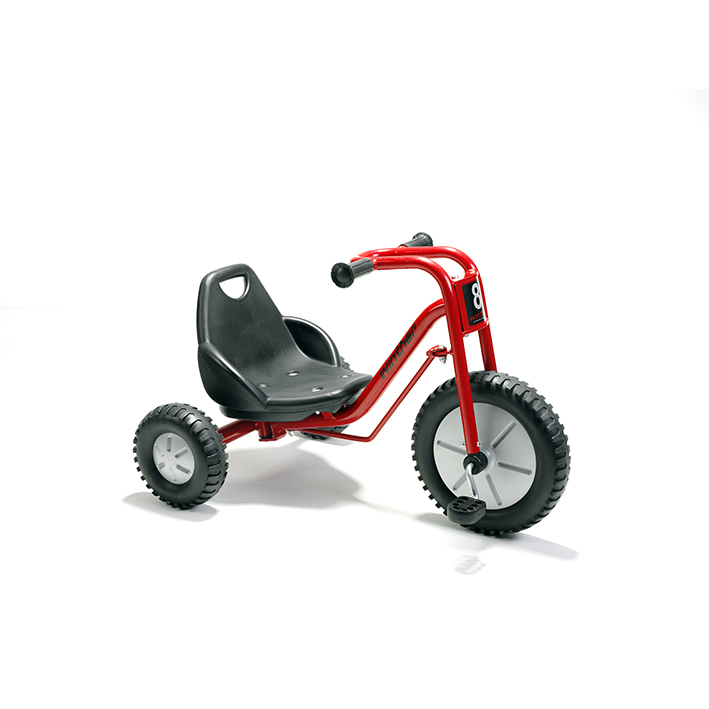 With its broad and rough tyres, it will appeal to children who like challenges.